A delicious strawberry smoothie is a great way to add a lot of nutrients to the diet. Strawberries are antioxidant-rich and one of the most mouth-watering and healthiest fruits around. Also, if you aren’t able to buy the fruit in season, it is still abundantly available in frozen form, which still retains similar nutrient qualities. Strawberry smoothie recipes are plentiful and provide a quick and easy snack for breakfast or any time of the day. Strawberries are bright red in color and pack a healthy punch with a high concentration of antioxidants and plant phenols. A benefit of these components is the ability to prevent certain cancers and fight-off age-related diseases. Plus, this small fruit is loaded with dietary fiber, while being low in calories. 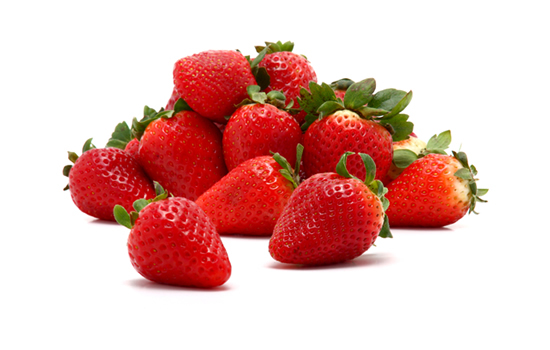 A single small strawberry has about 2 calories, which is easily burned-off by walking for up to 60 seconds. For extra nutritional benefits it helps to leave the strawberry hulls (top part where the green section grows out) in place. But, if you don’t have a high-performance blender it usually benefits to remove the hull before pouring into the appliance. Also, if planning to use frozen strawberries, it usually benefits to pick a brand that doesn’t add sugar because this fruit is already naturally sweet. Strawberry and pineapple is a perfect breakfast smoothie which includes ingredients like yogurt to up the intake of protein. Blend all ingredients in a suitable appliance until the desired consistency is achieved. A strawberry and kiwi smoothie gives a perfect opportunity to combine several delicious fruits in a single glass. Pour the ingredients into a smoothie maker and blend until the preferred liquid or thick consistency is achieved. Add kiwi slices to the top of the smoothie to get the perfect presentation. The sweetness of a strawberry and chocolate is perfect as a light after-dinner treat and is quick and easy to prepare. Pour all of the ingredients in a blender and leave running for 30-45 seconds or until the preferred consistency is achieved. A healthier version of this smoothie has the chocolate syrup replaced by blending vegetable oil and melted dark chocolate. Strawberries can easily be combined with other fruits to create perfect liquid refreshment. Use tofu, milk, yogurt, and frozen fruits to make a custom strawberry smoothie taste.